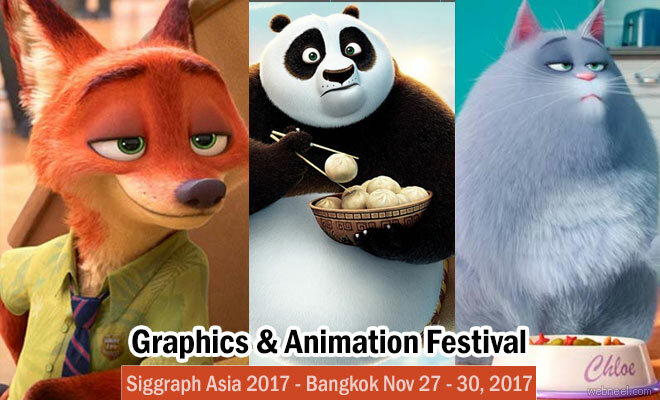 The 10th edition of the largest conference and trade exhibition of Siggraph will be conducted at Bangkok, Thailand, 2017. Book your dates for 27th - 30th November 2017. It will be conducted at the Bangkok International Trade and Exhibition Centre (BITEC). According to theirwebsite, "SIGGRAPH Asia 2017's Host City has been officially announced: Bangkok, Thailand! The event will be heading to the land of smiles! Excited? Tell us what you think about this at siggraph_asia at koelnmesse.com.sg, and where you would like to see the event in 2018". Siggraph 2016 will be taking place at Macao at The Venetian Macao from December 5 - 8, 2016.This is an annual event and technical people from all over the world who are interested in animation, computer graphics, gaming, interactive techniques, research, art, science , education will definitely be visiting this biggest event. During this conference, it's a treat for both the mind and soul, since it's both knowledge centered and fun filled conference.